Well, I made it back to Phoenix! (And, sadly, straight back into work…) I came in to a fully decked-out office with spiderwebs galore (thanks to the person that “decorated” my desk – smile). Much like any area, Phoenix is no stranger to resident spirits. 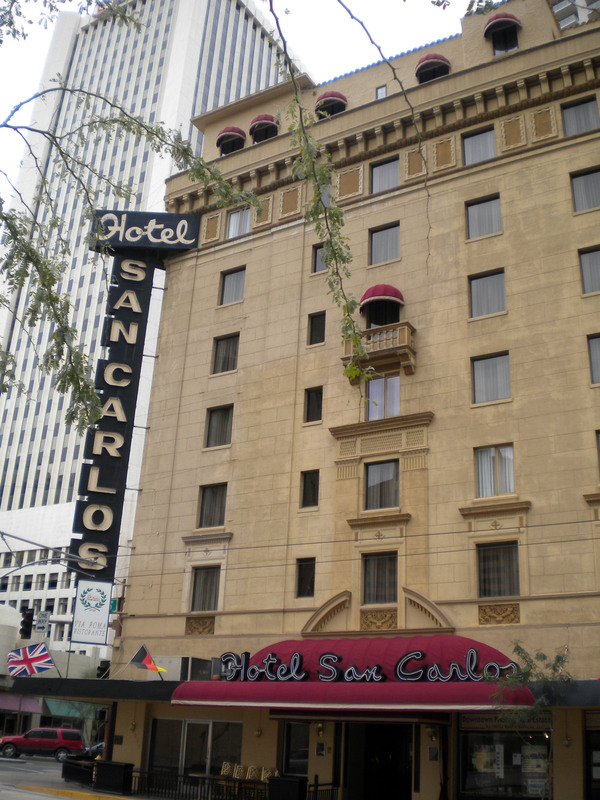 The Hotel San Carlos in downtown Phoenix is thought to be one of the more popular spirit hangouts in the city! 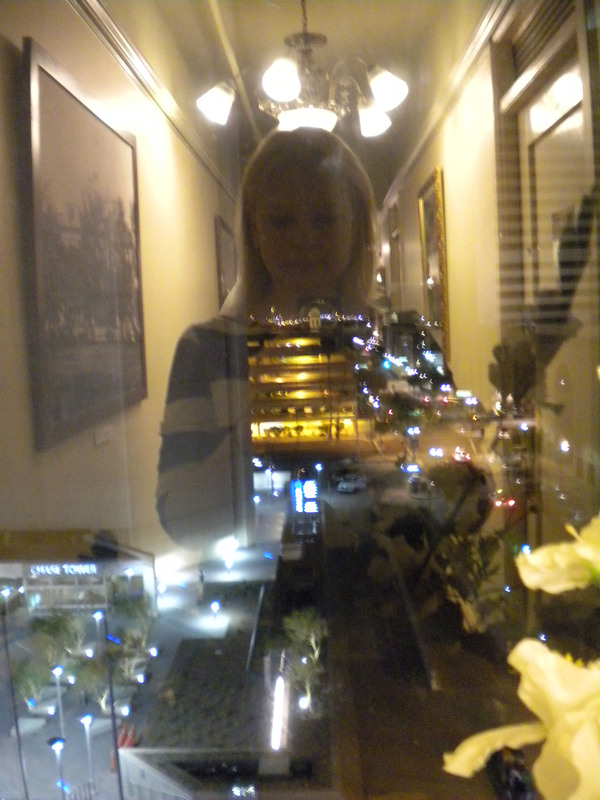 They used to offer special ghost tours around Halloween and I was lucky enough to “hunt along” before they stopped! The Hotel San Carlos claims to be the only historic boutique hotel in Phoenix and has been in continuous operation since 1928. The hotel has boasted a number of famous guests over the years including Clark Gable, Marilyn Monroe and Mae West. The French Cafe at the San Carlos was considered the place to be seen during the early 20th century and many stars that couldn’t get a room at the hotel made it a point to at least come to the Cafe for a meal while in Phoenix. Perhaps one of the most famous guests at the San Carlos is a young lady named Leone Johnson. Most accounts agree that although she had traveled across the country to marry her love, he spurned her on arrival for another. Ms. Johnson, being considerable upset, jumped from the rooftop of the hotel – some say in her never-to-be-worn wedding dress. Several witnesses have seen the specter of a young girl in white standing at the end of their bed or up on the rooftop. Her spirit appears to friendly, but never speaks. 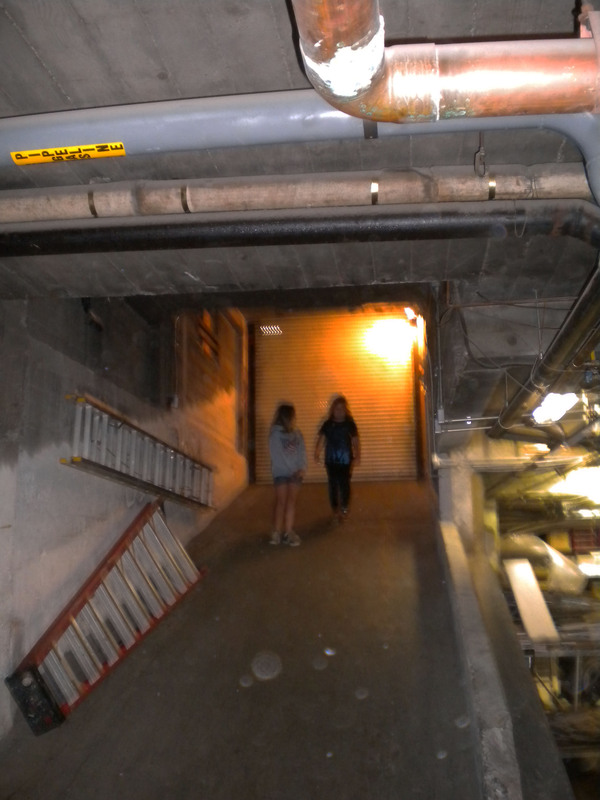 There are also stories of three children who laugh and play down in the basement of the San Carlos. Exact accounts of their death differs, but the spirits, at the very least, sound friendly. Some witnesses claim to see Marilyn Monroe taking advantage of the pool from time to time. According to our lovely tour guide, there are quite a few other spirits in residence as well, each with their own story. Today the San Carlos is a bustling hotel and tourist attraction. However, there are still guests to this day who check out in the middle of the night after encountering “something.” Whether this is a product of stories and the excellent refreshments down at the bar or truth…who knows? But having walked those halls, I can certainly believe it would make for an excellent spiritual hangout (smile). It is certainly a beautiful historic building with unique rooms, bars, and restaurants – a perfectly fun place to hang out whether you believe in ghosts or not! Have you ever stayed at a haunted hotel? ?